So, yesterday, I got one of many contacts from people about new music. However, this one was from one Brother Paul, keyboardist for The Waterboys. He’s just produced an album coming out on August 10 Jimmie Smith plays tribute to Jimmy Smith, about which more anon. as much a showcasw for Brother Paul as Messrs Wickham and Scott. 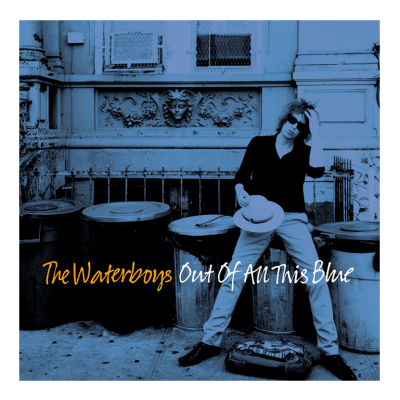 It’s now well over three decades since The Waterboys released their debut, self-titled album. While there are still those who just associate them with the epic ‘Whole Of The Moon’ single or the lush folk of the Fisherman’s Blues album, the reality is that Mike Scott and his team have always explored new avenues of music. Happy New Year, for what I hope will be a fantastic year for music (though, to be fair, one of my theories is that every year has lots of good music, you just have to look for it harder some years than others). 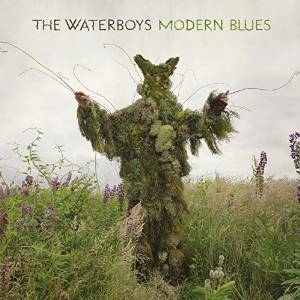 I’ll be doing a piece on albums to look forward to this year, but one of the records I’m looking forward to in January is the latest album from The Waterboys, Modern Blues. Released on January 19 It’s their twelfth studio album by my reckoning, and the tracklisting is as follows. There’s a handful of videos doing the rounds enabling you to hear some of the tracks from the record. 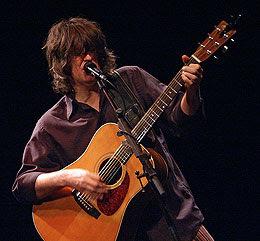 According to the Waterboys’ website, the album was recorded in Nashville, and as well as long-term fiddle player Steve Wickham, the album also features Memphis keya player “Brother” Paul Brown and bassist David Hood from Muscle Shoals, Alabama. Adding to the soul flavour is Austin soul guitarist Zach Ernst while backing vocalists include southern soul legend Don Bryant. I’ve waited bloody years to see The Waterboys. Since I first heard ‘The Whole Of the Moon’ and bought Fisherman’s Blues. Blown away by what I heard. Were they folk? Were they rock? Scottish? English? Irish…or had they relocated to the USA? Were they no more? Well, The Waterboys are alive and kicking, as the soon to be Mrs. 17 seconds and I found out last night. Whilst the Festival Theatre is a seated venue – which means that if someone dances, they’re getting in your way- Mike Scott and his merry men brought the place alive, so far away from the staid impression you might have walking in. Support Act Haight-Astbury are a Glasgow three-piece who were personally handpicked by Mike Scott to support them on this tour. The two female singers’ harmonies owe much to the west coast of the US, rather like their name suggests, but there are a lot of Scottish influences here as well. Songs like ‘Angels and Devils,’ ‘Free Love’ and ‘My Friend The Blues’ suggest a 21st century Bangles playing with Sons and Daughters. Their myspace page has four tracks. Isuggest you hear them and go and see them when you get the chance. Is Mike Scott the Waterboys? It’s hard to imagine one without the other, though he made a few albums under his own name in the 1990s. 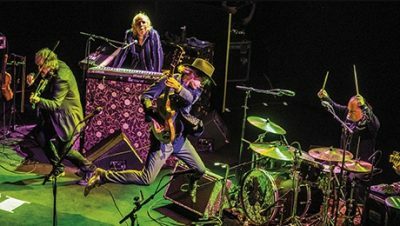 but joining him tonight is longtime foil, Steve Wickham, on violin and mandolin, the man who played electric violin on U2’s ‘Sunday Bloody Sunday’ but also who really brought alive the seminal Waterboys’ album Fisherman’s Blues in 1988. When they tear into ‘Glastonbury song’ – as their opening number, dammit (I thought a song like that would be saved for the encore), it’s abundantly clear why. Because they can. Because there are so many great songs in the Waterboys’ cannon. Scott comes across as being very comfortable on stage, a man who knows his craft, is at ease, but also doesn’t take himself too seriously. The anecdotes, about the bands he’s seen (I am fairly distrustful of progressive rock, as I feel that punk came to save us from it), and if Emerson Lake and Palmer were the first band he saw live, well, maybe he learned part of his craft from them. Though it seems pretty God-given. There aren’t many musicians who can talk about their spirituality without seeming phoney, but during ‘Iona’ he talks about the experience that led to him writing the song and it’s so clear he talks from the heart. Sometimes having heard songs on record (or whatever pre-recorded format you fancy in this day and age), the question is: ‘How will that be recreated live? Will it work? (Or should you use bloody backing tapes for certain parts? Bad idea, in my opinion).’ Two songs from the gig pinpoint what can happen. ‘The Whole Of the Moon’, the biggest hit the Waterboys ever had, is made by Roddy Lorimer’s trumpet (and if you haven’t heard tht trumpet on ‘Don’t Bang The Drum’ you are depriving yourself). There is no Roddy tonight, and the trumpet is synthesised. It works, but somehow, whilst the groove Mike Scott requests is there, it isn’t quuite as moving. On the other hand, ‘The Stolen Child,’ the setting of the W.B. Yeat’s poem that appears on the Fisherman’s Blues album, has Scott reading. This has my hairs standing on end. It is absolutely lovely (I knew a relationship at university wouldn’t work out when the girl said she couldn’t see what appealed to me about the track). It’s also a hair standing up moment during ‘Red Army Blues’ (currently posted by Mr. Toad at Song, By Toad. For me, it’s the joy of hearing ‘Medicine Bow’ and ‘The Pan Within’ that I shall most treasure from this gig. Sheer, utter, unadulterated joy. Words cannot describe it, suffice to say it was wonderful and moving. Worth waiting sixteen years for, but I hope to see them again soon.